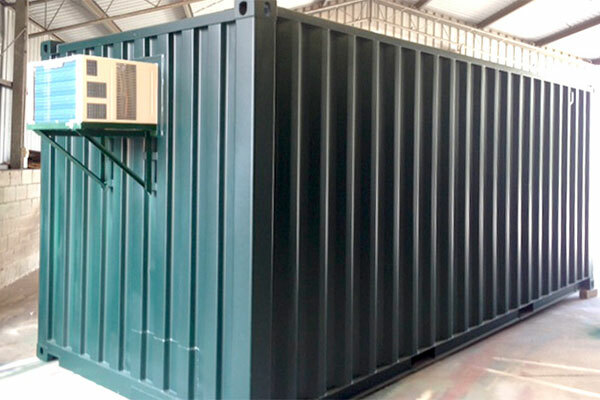 40 foot mobile office containers are the most popular size and provide users with approximately 480 square feet of work space. 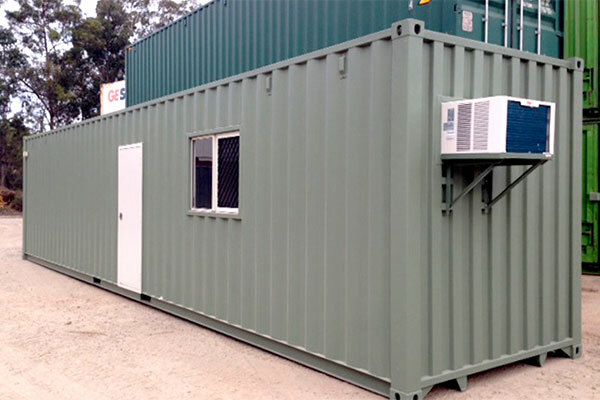 A basic 40 ft mobile office container can be configured in multiple ways, making it extremely versatile and ideal for use in all different industries including construction job sites, schools, festivals and events as well as extra office space for expanding businesses. Provide your employees with a dual office space that ensures privacy, and are perfect for when multiple companies are working on the same construction site. These separate work spaces are separated by a wall that doubles as a sound barrier. Each unit has it's own heavy duty locking door, multiple windows and electrical outlets, as well as individual HVAC units. With similar features as the standard dual office, premium dual offices are equipped with a half bathroom with access from either both offices or from a hallway connecting both spaces. If only one office space is needed, it may be a good idea to divide the space to include a storage unit in back. Additional locks for the storage portion help secure paperwork, documents, office supplies and equipment you keep in the storage area. A wall with an access door divides the two spaces. Typically, the office spaces takes up approximately 80% while the storage space takes up the remaining 20%. However, you may divide the space however it seems fit for your needs. 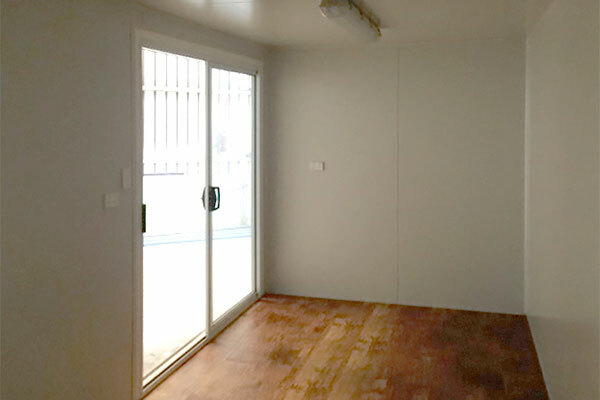 When no storage is required, the 40 foot mobile office container can be divided to include a half bath. This allows your employees or clients to be able to use the restroom without having to go to a separate building. This bathroom can be basic with minimal features or it can include updated flooring, walls and fixtures, mimicking that of a permanent office bathroom. If you do not need any walls or restrooms, a mobile office can be left as one open space. Ideally used to house multiple desks, such as for a classroom or a call center, this unit can still include upgraded fixtures and flooring. Aptera works with local providers to ensure that your 40 foot mobile office container meets your needs as well as your budget. 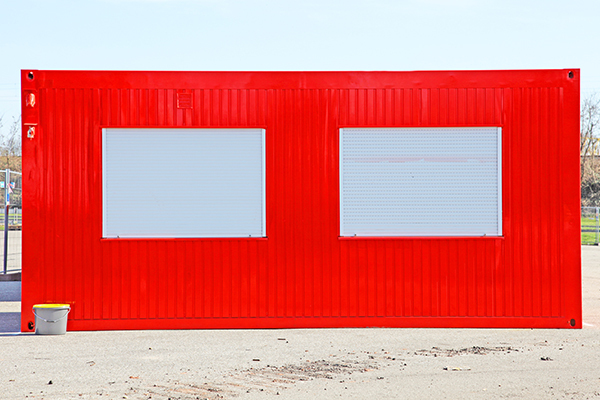 Whether you're looking for a large open office space for a school, or a dual office space for a construction job site, we can take any mobile office and configure it to fit your needs. 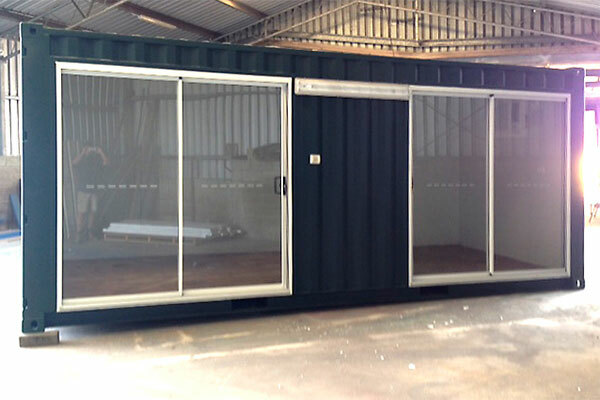 Get started now to learn how we can help you save on your next 40 foot mobile office container rental or purchase.